I have learned the past few years that when God gives me a word for the year, I can trust that He has good reason behind His choosing. The past three years have been vastly different words and yet each one has built upon the other. Last year the word ‘Definition” was a result of that which I was able to ‘Receive’ from Him after a year where He taught me how to ‘break bread’ with Him. The one word for 2015 is ‘Know”. Many thoughts come to mind as I mull this word over. It can be a year of learning to know Him better, it may be a time of being still and know that He is God, or know that all things work together for good. Whatever He wants to teach me, I am open to learning from Him and having further renewal of my mind take place. On Monday and Tuesday as I was writing out the names of God and the meanings for them, I came across one I had never heard before. It is “El Gibhor” ~ Mighty God and the word here to be magnified above His name is found in Isaiah 9:6. The Name is describing the Messiah, Christ Jesus as the Mighty and Powerful Warrior. The Messiah, the Mighty God will accomplish the destruction of God’s enemies and rule with a rod of iron. Later on I was reading Psalm 138 and Psalm 32:7 “You are a hiding place for me. You, Lord, preserve me from trouble. You surround me with songs and shouts of deliverance. Psalm 138 is speaking to us here of when we have established a habit of praise we will stand in the face of adversity and continue to praise. We will not back down… or be afraid of the giants who have cropped up in the land. We will worship with our faces fully turned toward Him and praise and bless His holy name. We will praise Him for His lovingkindness and His truth and we will bow down and thank Him for magnifying His word above all His Name stands for. His word is magnified above all His Name. Trust it beloved, trust it, stand on it and let your soul be rooted in the word of God so when you have done all, you can continue to stand tall. He will make you bold with strength in your soul. Now picture El Gibhor surrounding you in your time of hardship with shouts and songs of deliverance. Can you imagine the turmoil and absolute helplessness of the enemy when he not only hears our voices lifted in praise, but he hears the Voice of the Lord as HE lifts up HIS voice in our defense? Is your heart wowed, just absolutely wowed as you picture El Gibhor, your Strong Tower and Refuge, surrounding you in your times of trouble with shouts and songs of deliverance? Yes, He makes us bold with strength in our souls. Yes. He has made us more than conquerors through Christ Jesus ~ through His shouts and songs of deliverance! I had never heard of this one-word concept before this year and I am loving reading everyone’s words and reasons for them. I also hadn’t heard of El Gibhor, but the description is more than fitting. I love your line about how helpless and in turmoil the enemy feels when we lift our voices in praise. I’m working to embrace the truth of us being more than conquerors through Christ, especially right now with some struggles I’ve been facing. God is so good though and I look forward to reading more of your delightful work! Thank you for joining our community on Google+! In years past, Kristi, I would choose a Scripture on my birthday for the year and it has been exciting doing the one word to see how and where God leads. The helplessness of the enemy gets me excited and I wonder if that isn’t one reason why we are more than conquerors. When we know truth we do not perish if we apply it in our lives. I am glad to be part of the Google community. Wow, what a visual that gives me! And what an awesome precept to be rooted in, that He is not only our hiding place but His very voice defends us when needed. I pray this encourages people today who are wondering if anyone is ever going to be on their side, if anyone will ever have their back. Meanwhile, the Almighty waits for them to simply run to Him. “He will make you bold with strength in your soul.” What a wonderful truth to hold on to. I too am not familiar with the name El Gibhor, though the meaning is familiar. How grateful I am that we have a mighty God who is mighty to save. Enjoyed visiting your lovely blog from Coffee for Your Heart. I love studying the names of God. The first time I did, it changed my relationship with Him to a deeper, more personal level than ever before. Thank you for sharing your word for the year. 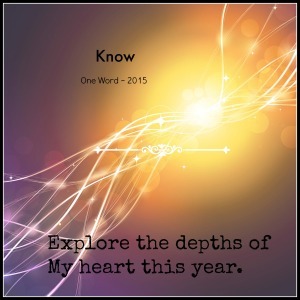 And may you “know” Him better than ever in the coming year. Visiting from CBCE. I keep reading this over and over. Because I am headed into a battle. El Gibhor….Christ Jesus the Mighty and Powerful Warrior. He surrounds me with songs and shouts of deliverance. Thank you for this word that has come just in time. He is there with you and will fight your battle for you. Hold your peace sister and trust Him. He has come to your rescue and you will lift up your eyes and see His salvation. Praying for you. Awesome thought! This part especially touched me: “He will make you bold with strength in your soul.” I had to look that up. In King James, it says “strengthenedst me with strength in my soul.” That is real strength, strong boldness — deep down! What an encouraging verse to revisit. Sheila, thanks for visiting and leaving a comment. That particular verse blesses my heart too and when I pair it with the Lord, the Mighty Warrior singing songs of deliverance over me…well then its just wow! I appreciate your words of encouragement and blessing Carole, more than I can say. Thank you.